a)The machine adopts pure Class A to amplify circuit ,and tube 300B drives 805 which makes it more perfect. b)High frequency feels round and bright,while intermediate frequency is full.The low frequency feels strong and the voice field seems wide. c)It looks powerful with an obvious gradation. e)The updated products is a symbol that Meixing Factory is coming to a new level.MC-2A3 is produced meticulously,using the Fanuc CNC and lathe bought from Japan at the end of 2010.The entire case is made with a 6mm thick aluminum alloy and the machine feet consists of aluminum alloy as well as the shockproof rubber ring.The factory chooses the chief electronic script.For example,the electronic tube adopts the international brand called JJ in Czech and the 300B from Tianjin.The tube 805 is made by Meixing Factory and the annealed silicon steel imported as well as anaerobic copper wire against high temperature from Janpan.The other materials included in this product is as follows:Jensen copper oil capacitors from Denmark,imported slivering signal line,imported connector,ALPS Potentiometer from Japan,imported aluminum electrolytic capacitor of high pressure,remote controlled handle made by aluminum,imported protective cover of Acrylic and the machine is produced by hand-welded. 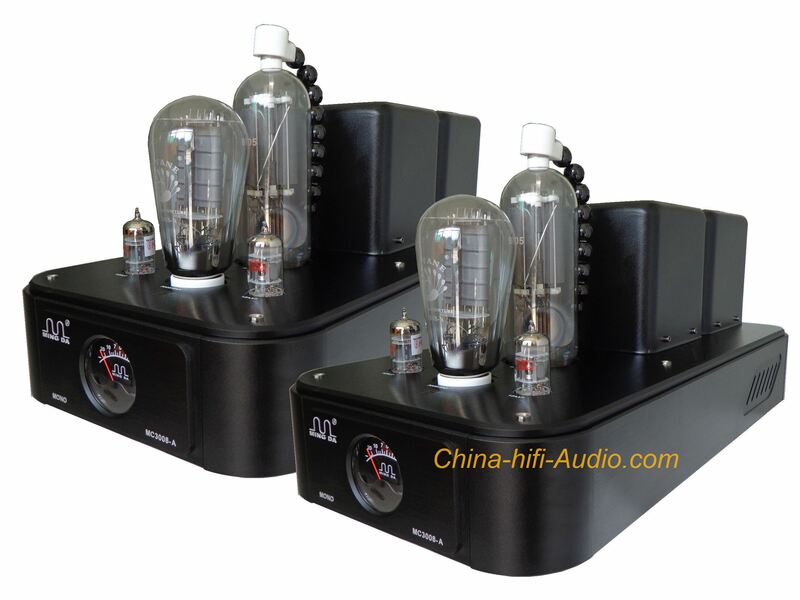 f)The effect of the tone quality is comprehensive,correct,vivid and natural.It is worth having one.By the way,it sets up an transform switch called tube 300B/2A3.